If you are new to using Windows 8, you may not have started updating it like previous versions of Windows you have used. Updating Windows 8 is helpful and can fix issues with Microsoft’s latest version of its popular operating system. If you have yet to update Windows 8 since its release, what are you waiting for? This brief guide will show you how to update Windows 8 and stay on top of any fixes that may keep your computer running smoothly. 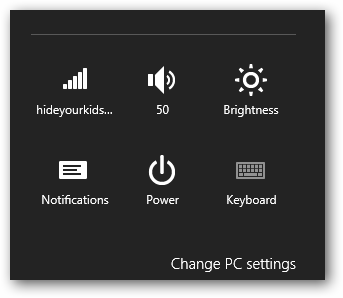 From the start screen in Windows 8, open the “Charms Bar” from the bottom right-hand corner of your screen. 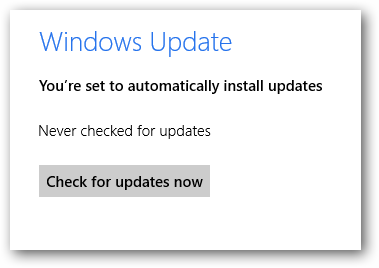 Windows Update will let you know the status of automatic updates. In this case, our computer is set up to automatically update so we do not have to worry about checking for ourselves. You can click “Check for updates now” to check for the latest updates. It will take a few moments for Windows 8 to check for them, so sit tight. When finished, Windows 8 will either tell you there are updates available or none are available. In this example, we have some updates ready to be installed. 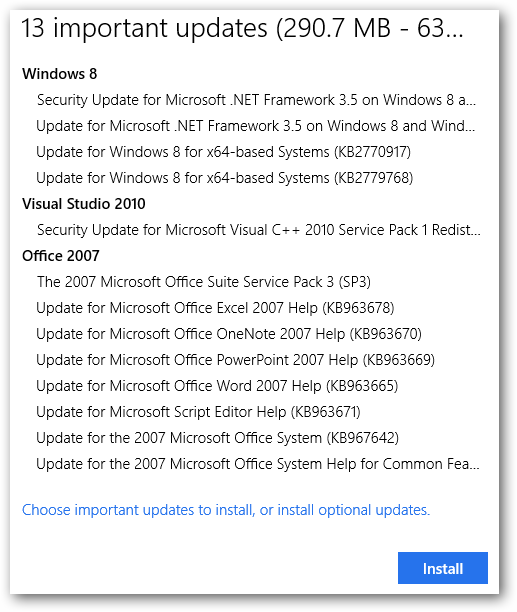 Click “We’ll install important updates automatically” to see the nitty-gritty on the updates. This will open in a pop-up for you to go over. You can also opt to update them right away by clicking “Install.” Otherwise, the updates will wait until scheduled maintenance to be installed. These are just the basics to getting started with updating Windows 8 on your computer. How often should you update Windows 8? 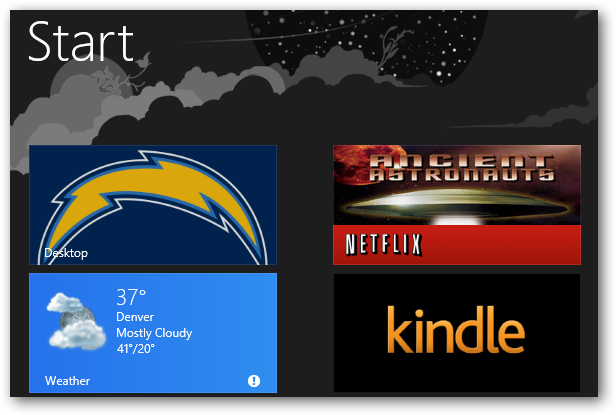 At the very minimum, you should check for updates once a week with Windows 8. However, during setup, you may have asked your computer to automatically download and install them. If this is the case, you are set up for success when Microsoft releases updates to Windows 8. If you did not set up updates for Windows 8, take the opportunity now with this guide to check to see what fixes, patches and more are available for your operating system. Foreign Languages Can be Tough to Learn, Google Translate for Android Makes The Task Easier.